The email contact is fawkhamrc@gmail.com if you have any questions/queries. Please note: Slots for clinics will only be held/reserved on receipt of full payment and booking form. 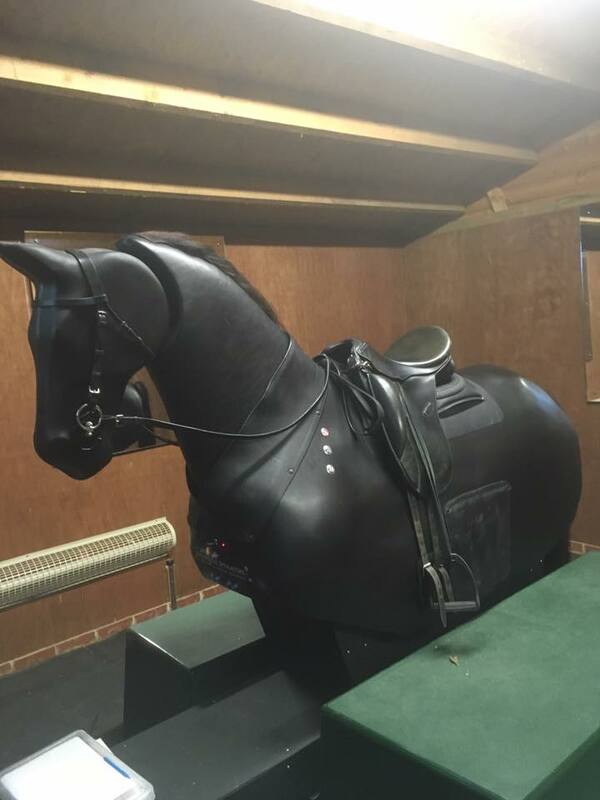 ​Each group will consist of 4 riders and everyone will get 20-25 minutes on the horse. 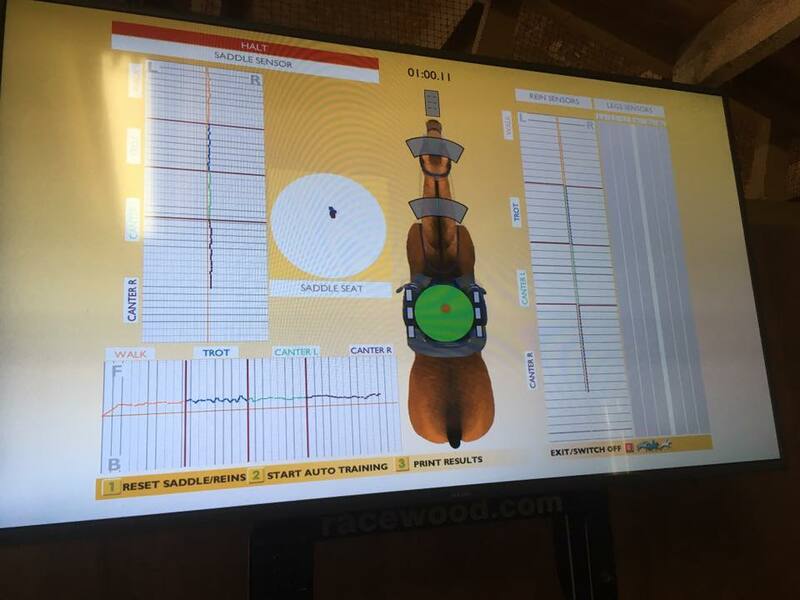 Each rider will have a position assessment and can be provided with a print out of how they are sitting in walk, trot and canter. 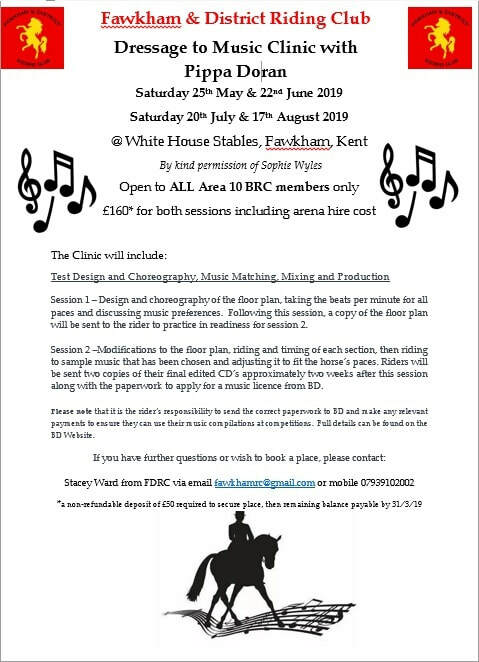 ​and is being held at White House Stables in Fawkham. ​Marion Holland's is a BD List 3a Judge and many of us are familiar with her judging locally in our area. She has kindly agreed to do a test and re-test day at Speedgate Equestrian Centre, whereby you ride a test (your choice of level) Marion judges you then comes out and gives you some guidance and feedback, then you ride the test again and have a second test sheet to compare with the first. The session will be half an hour long and you will go away with both of your test sheets and hopefully some good help for future competitions. We have Eaglesfield booked from 1pm and have the school booked for 4 hours. There will be 4 riders per session. Before payment we need an email to juliac.fdrc@gmail.com to confirm we have a space and then you can advise on what height you would like to jump. Then payment is required to secure place.